Grand Central Publishing, 9781538714478, 368pp. 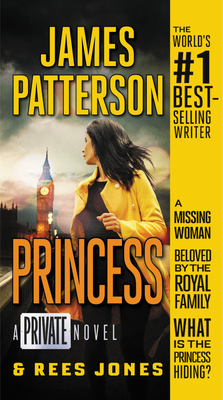 A secret and the British crown make a murderous combination in this page-turning suspense novel in the #1 bestselling Private series. Private, the best investigation unit in the world, has agents who are the smartest, fastest, and most technologically advanced in the world -- and they always uncover the truth. No wonder the most influential men and women on the planet seek their help on a daily basis. But there's only one client who can make its founder, Jack Morgan, drop everything and fly to London at full speed: Princess Caroline, third in line to the British throne. She needs Morgan to find a friend who has mysteriously disappeared, a woman named Sophie Edwards. Though Princess Caroline insists it's just a missing-persons case, Morgan knows she's hiding something. The closer he gets to uncovering the truth, the more he realizes there are powerful people who will stop at nothing to keep Sophie from being found. James Patterson holds the Guinness World Record for the most #1 New York Times bestsellers. He has donated more than one million books to students and soldiers and has over 400 Teacher Education Scholarships at 24 colleges and universities. He has also donated millions to independent bookstores and school libraries. "The man who can't miss."